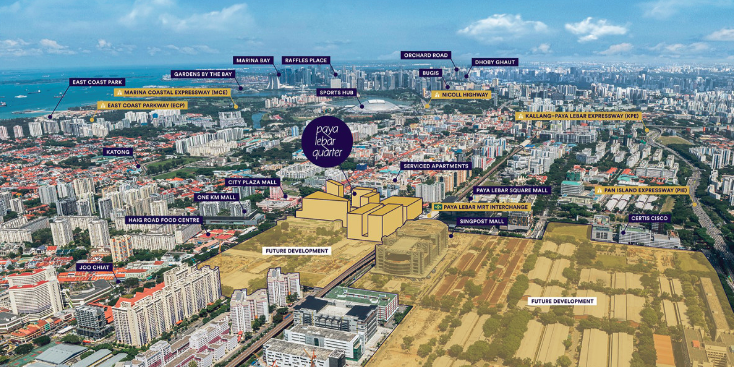 Located along Sims Avenue on the former Eunosville site, this 99-year leasehold project features 1,399 residential units and five shops that are spread across nine 18-storey blocks. With indicative prices ranging from $1,660 psf to $1,680 psf, the project offers a selection of one- to five-bedroom units that range from 420 sq ft to 1,604 sq ft.
Parc Esta is touted as the closest private condo to Eunos MRT station, at only 200m away. It is also one stop away from Paya Lebar MRT station and a bustling commercial hub, while the central business district and Changi Airport are just a short drive away. Set to be completed by 2022, the project is also close to eateries in Katong and Joo Chiat. 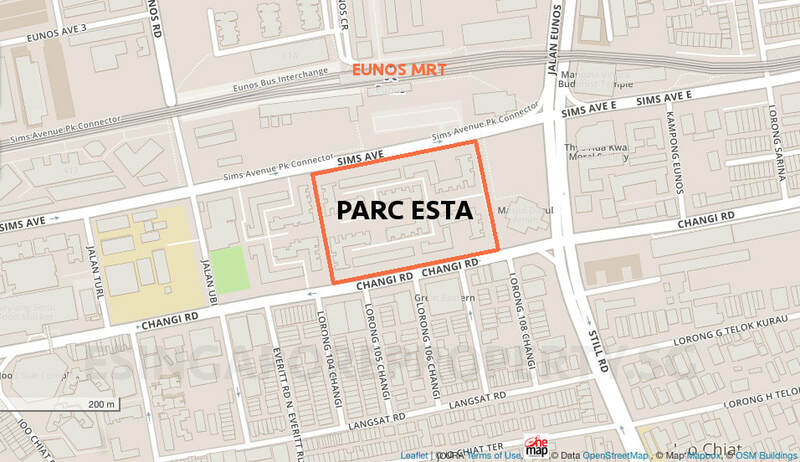 Parc Esta, formerly known as Eunosville, a HUDC estate that has been the prime residential location along Sims Avenue and Changi Road, under the developer MCL Land, who acquired it in a collective sale exceeding $750 million, towards the end of 2017. The former residents have been at an advantage with this, having gotten a whopping 19% increase in their demanding price during the sale. Parc Esta is also tactically located with numerous shopping centres e.g. the popular Geylang Serai Market and Food Centre, Paya Lebar Square, One KM Mall as well as the upcoming Payal Lebar Quarters are well positioned near to this new launch. Parc Esta is a brand new launch condominium project developed by MCL Land and is located at the East along Changi Road and Sims Avenue Drive. Parc Esta os at the former Eunosville HUDC estate (enbloc) just opposite Eunos MRT Station. Parc Esta is development sits on a piece of land size 376,716.32sqft with 9 Towers and 1399 units comprising of 1 to 5 bedrooms. There is a basement carpark, up to 240m swimming pool and many facilities. 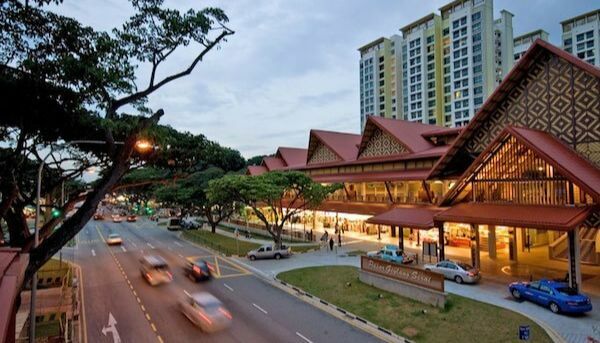 The famous Katong Road - home to many local eateries, is just a short 2 mins drive. Residents of Parc Esta will enjoy shopping in Parkway Parade shopping mall which is also a medical suite where Parc Esta residents can receive their medical needs. 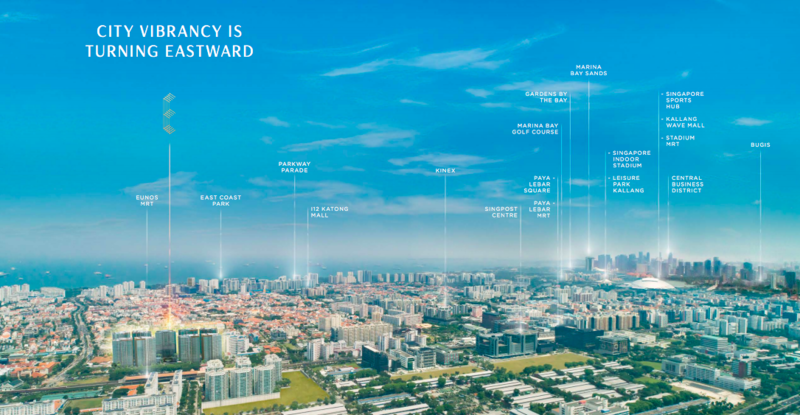 Parc Esta residents enjoy a 3 mins drive to the East Coast Parkway (ECP) towards the CBD and the Orchard Road shopping belt thru Pan-Island Expressway (PIE). Residents of Parc Esta will love the convenience of this location with the close proximity to all their needs. A short walk from Eunos MRT is a beautiful condo called Parc Esta whch is also located near a bus interchange offering convenience to residents of Parc Esta. Within 6 stops of the Eunos MRT station, one can find the most traveled-to locations including office complexes like the Changi Business Park, Expo and Changi City, relaxing facilities like the Kallang Sport Hub, as well as the CBD. Eunos MRT Station is just less than 5 minutes walk from Parc Esta, which is also near to East Coast Park. Parc Esta - the latest development by award-winning developer, MCL Land. Located on the former Eunosville HUDC estate (enbloc) just opposite Eunos MRT Station, Parc Esta is set to be the gem of Eunos district. 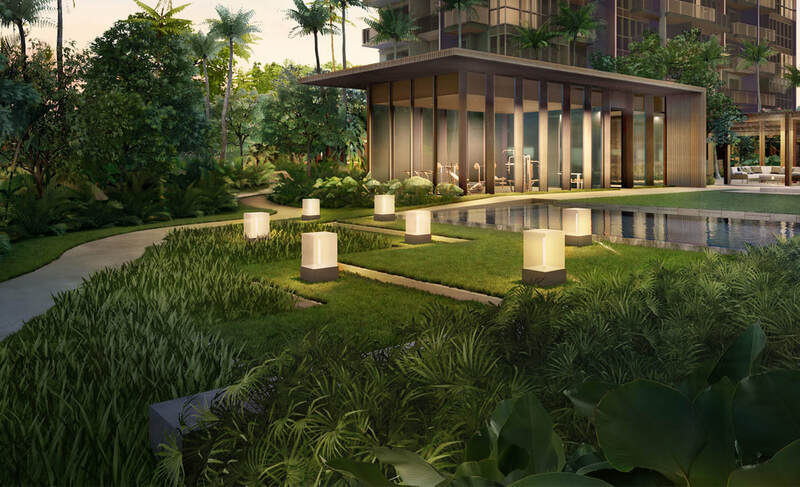 Positioned between the CBD, East Coast Park and the ever-growing Changi Airport, Parc Esta brings you closer to work and play. A distinct development with a wide frontage onto Changi Road, Parc Esta has complete and unique amenities, including a guard house, club house, function room, indoor gym, tennis court, olympic-sized (50m) swimming pool, sun deck, BBQ pits and children’s playground. Parc Esta consist of 1399 exclusive units, 1 Bedroom /2 Bedroom / 3 Bedroom, 4 Bedroom and 5 Bedroom, located just opposite Eunos MRT & Eunos Bus Interchange, Parc Esta offer many facilities including SMART home, BBQ pod, Kids Playground, Function Room, Tatami Room, Infinity Pool, Cabanas, etc. Enjoy the convenience of having amenties and public transport right at your doorstep. Note: www.latestprojectlaunch.com is a comprehensive online portal featuring the latest property launches in Singapore and the region. By submitting your information, you allow us to contact you with regards to your enquiry as well as updates on new property launches and developer promotions.